Rozelyn Kurtis Justice, or “Shannabelle,” was such a beauty on the farm. We miss her every day, but are thankful about what she taught us about the Guernsey breed. Welcome to the MyShan Dairy website. MyShan Dairy is owned by Mylon and Shannon Smith of Lynden, Washington. They have four children; Maleah, Landon, Micah and Lane; and two grandchildren; Karter and Kinzie. MyShan Dairy is a family owned and operated Guernsey farm. As a young boy Mylon helped out on his grandpa’s farm and learned to love and appreciate the cow. When he grew up, Mylon followed in his father’s footsteps and became a funeral director at his father’s business, Gillies Funeral Home. In 2014, his father passed away and Mylon bought the funeral home. Growing up in Lynden, Shannon wanted to be nurse. She achieved that dream, a few months after marrying her high school sweetheart. Mylon and Shannon met on the track field and started dating in 1988. They have been happily married since August 1991. In January 1993 the Smith’s welcomed their first child, Maleah. Maleah’s destiny was set from the beginning as Shannon went into labor while feeding calves. Maleah asked to join 4-H at a young age because she wanted to show cows. She fell in love with showing and her brothers and several cousins followed suit. Mylon, seeing the love Maleah had for cows, bought her a Jersey calf named Annabelle. One calf wasn’t enough for the all the 4-Hers. At a youth auction Maleah and Shannon found a cute brown and white calf for sale and they brought her home. Rozelyn Kurtis Justice, or “Shannabelle,” was the cow that changed everything. She was a Guernsey and from the moment the Smith’s owned her there was no turning back. Mylon has always had the dream of owning his own dairy farm. 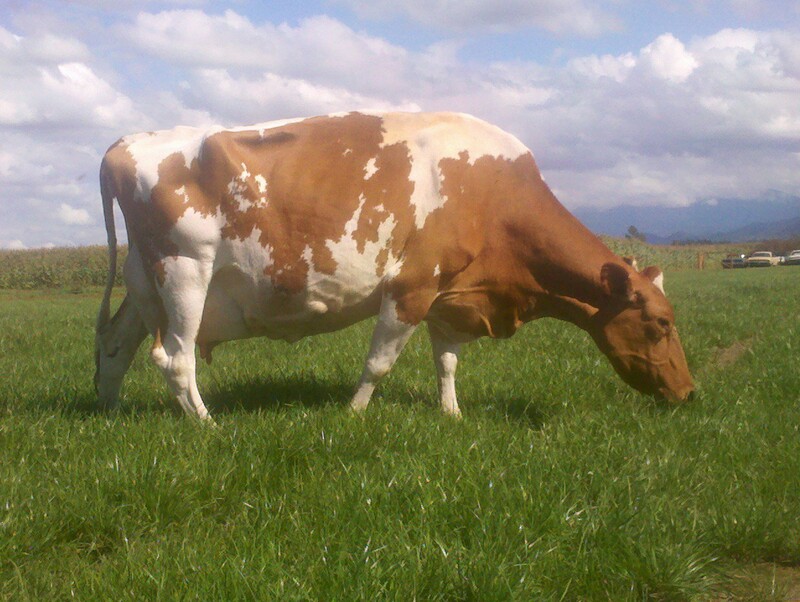 As Maleah’s Guernsey herd grew, that dream became a reality, and MyShan Dairy was born in 2009. Sometimes dreams can change and as the farm has grown so has their dream. For the first six years MyShan Dairy sold their milk to other distributors. Recently, Mylon and Shannon have decided to bottle and sell their own milk, themselves. Their new dream is to sell 100% Guernsey milk, GMO-free food fed to the cows and stay family owned and operated.